Many Americans are now discovering that a comfortable retirement and adequate healthcare are beyond their means. As a consequence, we are working later in life, lowering our expectations, and going without not only luxuries, but essentials as well. The decisions we make through our lives come with financial consequences. These choices include the careers we develop, the colleges we attend, the people we marry, the size of our family, and the lifestyles we adopt. While many of these choices may seem out of our control, it is possible to make adjustments along the way to minimize their worst financial consequences. The advantage available to everyone is time: The sooner we understand the long-term impact of our decisions and make the necessary changes, the more likely we are to reach our financial goals. People incur common expense categories as they pass through different stages of life. However, the magnitude and timing of each vary from individual to individual. For example, one person may have $25,000 in student loan debt, while another has none. One person might get married at age 22 and have two children while another gets married at age 35 and has three children – another may not marry at all. As a consequence, the following categories are necessarily broad, and a specific expense category may not apply to everyone. Nevertheless, a rough timeline projecting the cost of future expenses can enable you to save a portion of your income through each phase of life, helping you comfortably pay expenses when they occur, and ultimately leading to a substantial retirement fund. According to a recent report by the Institute for College Access & Success, seven out of ten graduating college seniors in 2013 had student loans averaging $28,400. The median debt for those who earn post-graduate degrees is an additional $57,600, according to New America – one in ten graduate students owe $150,000 or more. The cost of obtaining an undergraduate or graduate degree continues to escalate. While there are differences in everyone’s loan limits, interest rates, and repayment requirements, every borrower has to decide whether to focus on repayment as quickly as possible or make minimal payments and begin a savings program. For generations, owning a home has been considered a vital part of the American Dream. However, following the mortgage security debacle of 2008, many homeowners saw their houses decrease in value, leaving them underwater – with mortgage debt greater than the market value of their properties. In addition to a hefty down payment and monthly principal and interest costs of a mortgage loan, homeowners also pay real estate taxes and maintenance. Renting or leasing a house rather than buying one can be a better financial option for many people. While the emotional and psychological benefits of having kids are incalculable, the financial costs of raising them are significant. Even though additional children are incrementally less expensive, your decision is sure to affect your annual expenses and ability to save. While the tax code provides an annual exemption indexed to inflation ($3,950 for each child in 2014), this is considerably below the actual cost of raising a child each year. Ongoing Annual Expenses. According to the latest USDA figures, a parent with a child born in 2013 can expect to spend a total of $245,340 ($304,480 adjusted for projected inflation) from birth until 18 years of age. As of 2013, annual child-rearing expenses for a middle-income, two-parent family range from $12,800 to $14,970 per child, depending upon their age. College. In 2014, the four year cost of tuition and fees ranged from $39,400 for an in-state resident of a public university to $134,600 for a private college.These same costs are projected to rise to $94,800 and $323,900, respectively, in 2033. These estimates do not include books, room, or board. As a consequence of these high costs, many parents are going to have to choose between helping their children through college or saving for retirement. 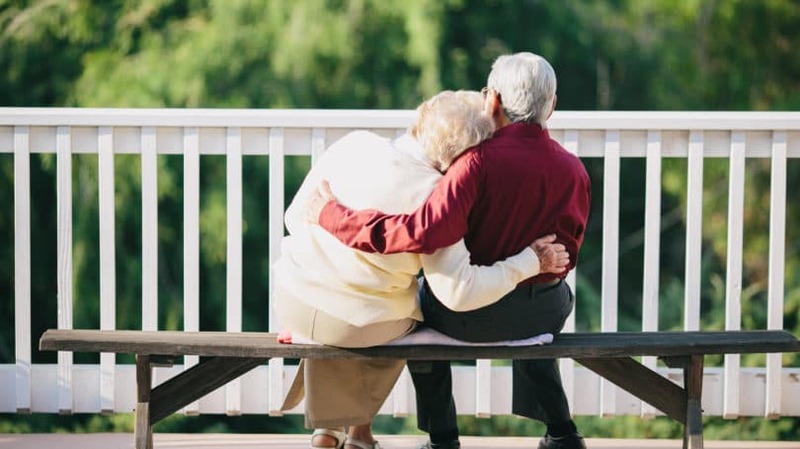 According to a recent presentation by JP Morgan Chase, couples at age 65 have an 89% chance that one of the partners will live at least 15 years longer than the other and an almost 50% chance of living to age 90. Our longer lives mean that we need a larger retirement portfolio to cover living and healthcare expenses. Unfortunately, the majority of Americans fail to save adequately – less than one in ten working households meet conservative retirement savings targets for their age and income, according to the National Institute on Retirement Security. NIRS also states that the average median retirement account balance for all households in 2010 was $3,000. Those between the ages of 55 and 64 only had an average of $12,000 saved up. To illustrate this shortfall, consider that the sum necessary to provide a $3,000 monthly income for a 15-year period (age 65 to age 80) with a 6% annual growth rate is $357,288. Healthcare costs are one of the largest expenses for retirees, even when they have Medicare. According to Fidelity Benefits Consulting, a 65-year-old couple retiring today can expect to spend $220,000 on healthcare costs not covered by Medicare or nursing home care. For years there has been a concentrated effort by the Federal Government and employers to get healthcare costs under control. Unfortunately it has been largely unsuccessful. Furthermore, the resistance to additional Medicare premiums and benefits is growing. As a consequence, future retirees will be required to cover more of their medical costs personally or forgo treatment. 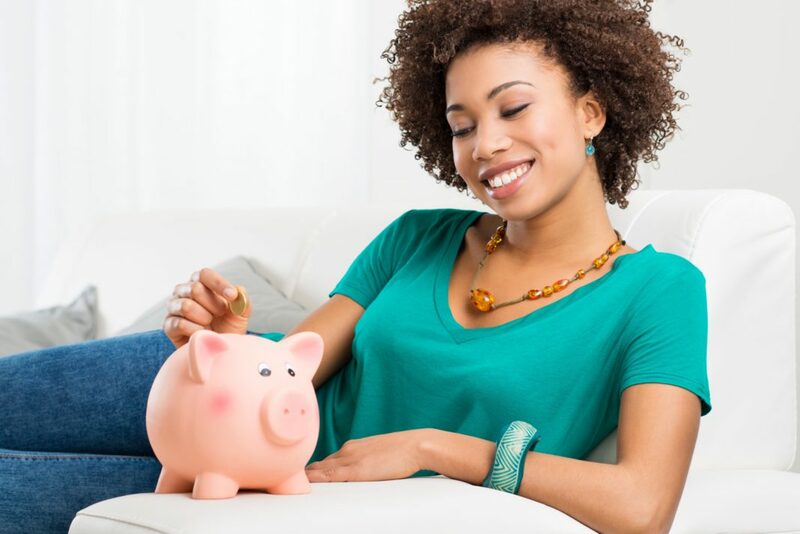 In order to have sufficient capital to pay for family and retirement expenses, you should regularly set a portion of your current income aside and invest it until needed. Implementing the following principles in your financial plan can help maximize your eventual savings. Your lifestyle decisions have long-reaching effects on your ability to be independent when you retire. The ability to defer gratification and distinguish between needs and wants is key to reaching your lifetime goals. And remember, “keeping up with the Joneses” is a no-win battle. A combination of having two working adults in a family, delaying the birth of children, renting or purchasing a smaller home, driving automobiles longer, and limiting your use of consumer debt (credit cards) are all great ways to reduce your spending footprint. For years, investment advisors and financial planners suggested that saving 10% of your gross income during working years would provide 85% of your pre-retirement income when you eventually retire, based upon drawing 4% of your portfolio balance each year. Unfortunately, analysts now project that long-term investment returns are likely to be less than those of the past due to lower inflation rates and low yields of investment debt. As a consequence, many advisors now recommend a pre-tax savings rate of 15% as well as a lower withdrawal rate during retirement (2% to 3%). Same Monthly Investment of $200. Bill begins saving $200 per month at age 25, while James begins at age 35. Each earns 6% annually. By beginning earlier, Bill’s initial investment amount is $24,000 greater ($96,000 total) than James ($72,000). However, Bill has $400,290 in his account at age 65 while James only has $201,908 – a difference of $198,382. Upon retiring, Bill could receive $3,361 per month for 15 years before running out of money. James could take the same amount of $3,361 for just five years and eleven months before running out. Or, he could take approximately half as much – $1,695 monthly – for the same 15-year period. Same Total Investment of $96,000. James, knowing he is starting later, decides to increase his monthly savings to $266.67 so that he and Bill will have invested the same amount at age 65. Each earns the same 6% on their savings. When they reach age 65, Bill has savings of $400,290 while James has $269,213, a difference of $131,077. Even though both invested the same capital over the years, Bill has a significant advantage by having started earlier. Same Account Value at Age 65. To achieve the same total savings as Bill accumulated at age 65 ($400,290), James needs to raise his monthly investment to $397 per month, almost double the amount of Bill’s monthly savings, or a total of more than $46,000 over the 35-year period. Throughout our lives, we are subject to physical, financial, and legal risks depending upon our age, assets, activities, surroundings, and responsibilities. By managing those risks appropriately – either by transferring them to others or minimizing their likelihood and impact – individuals can reduce the possibility of disaster for themselves and their loved ones. Managing these risks also requires balancing priorities between what may happen and what is most likely to happen. For example, the decision to use tobacco despite its proven link to lethal health effects can have significant financial consequences in the future. An estimate of the annual cost of a $250,000, 20-year term life insurance policy for a 30-year-old nonsmoking male is $334.54 – or less than $1 per day. A 30-year-old smoker pays more than double for the same amount of insurance ($722). At age 60, the nonsmoker can purchase the same $250,000 policy for $2,492 while the smoker pays $6,669. Effectively, a pack-a-day smoker spends almost $184,000 for cigarettes and additional health insurance premiums than a nonsmoker from age 30 to 65. If smokers determine to quit at age 30 and invest the money they would have spent for cigarettes and excess insurance premiums at a 5% return, they could accumulate a retirement fund balance of more than $330,000 by age 65. Rather than letting money burn up in smoke and incur additional health risks, a prudent manager would forgo smoking. Premature Death. Life insurance provides an opportunity to build an estate or meet financial obligations that would not be possible in the event of a premature death. Whether it is to provide funds for the final disposal of our bodies or to raise our children and cover living expenses of surviving spouses, ownership of life insurance is prudent. Disability. The likelihood through disease or accident that a person becomes disabled and unable to work or care for themselves physically or financially is greater than that of a premature death. Avoiding perilous situations, maintaining a safe lifestyle, and transferring the financial risk to others through insurance is justified for the majority of people, especially a family’s primary earners. Health. Human beings are subject to disease and accidents that result in trauma and chronic conditions. The cost of treatment continues to rise. Avoiding unhealthy habits such as smoking, alcohol, and drugs is essential, as are good nutrition and exercise. Health insurance is usually the most appropriate way to afford costly, unexpected medical treatments. Asset Protection. Physical assets are susceptible to loss, damage, theft, obsolescence, deterioration, and natural disasters. Insurance remains one of the better methods to manage these risks. Liability. We live in a litigious society – everyone faces the possibility of being sued. Jury awards can be in the millions of dollars and the cost to defend a lawsuit almost as high. Personal liability insurance policies are available at low cost, but provide peace of mind to potential defendants. “In this life nothing can be said to be certain except death and taxes.” Benjamin Franklin wrote that in 1789, but even he couldn’t foresee the ample opportunities the complex U.S. tax code would offer astute individuals for reducing their obligations. For example, no one should miss the ability to add to their savings with pretax dollars and let them accumulate tax-deferred with aggressive use of IRAs and 401k plans. Parents, students, homeowners, and businesses have a plethora of exemptions, deductions, and credits available to them each year to reduce their tax liability. These include the earned income tax credit, American opportunity tax credit, child and dependent care credit, and the saver’s tax credit. 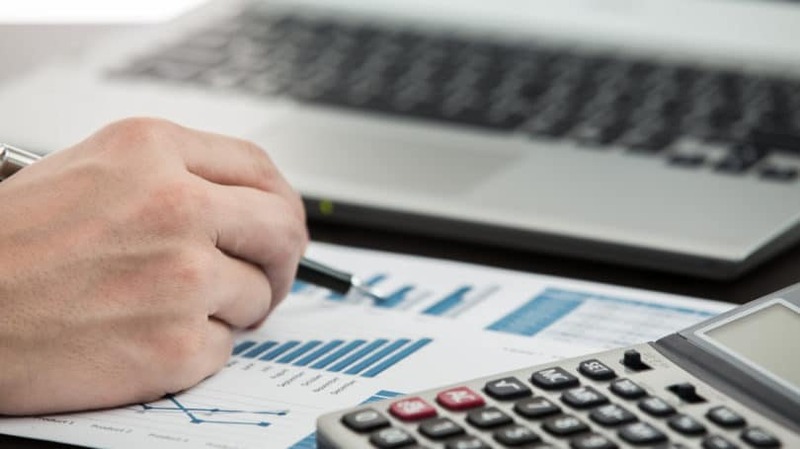 Either take the time to learn the basic provisions of tax laws as they relate to your situation, or engage a tax professional to guide you through the process. Remember, the money you save on taxes today can be spent during retirement tomorrow. Profitable investing can be hard work and may require assuming high risk. Nevertheless, the difference between the return on a safe investment, such as a savings account, or a more risky investment, such as equity in a New York Stock Exchange-listed company, is considerable, perhaps two to three times the lower risk rate. Know your investment risk profile – the amount of return needed to reach your financial goals and your psychological comfort with risk – and keep your investments within those parameters. Follow good practices such as diversification, a long-term investment horizon, and regular monitoring to gain the highest return possible. As illustrated above, $200 per month invested at a 6% return grows to $400,290 in 40 years. The same $200 grows to $702,856 at an 8% annual growth rate and $1,275,356 at a 10% rate. A word of caution: Stock market prices are volatile, especially in the short-term when rumors and emotions combine to drive prices unrealistically low or high. According to a recent analysis by Betterment of the Standard & Poor’s 500 Stock Index between 1928 and 2014, the longer people stay invested, the less loss they risk and the greater their possibility of gain. For example, one in four 1-year investment periods between 1928 and 2014 experienced losses in value, while less than one in ten 10-year investment periods did. Furthermore, the median cumulative return was substantially greater for 10-year holding periods than for one-year periods. In other words, the longer you stay fully invested in a broadly diversified portfolio, the greater your chances of gains. People under the age of 50 must consider the probability that Social Security benefits – the primary income component of many retired Americans – will be reduced by the time they themselves retire. This is an unfortunate consequence of excessive federal debt and an unwillingness of politicians to deal with a hot political issue. Younger Americans are probably going to have to wait longer to receive their benefits, and the payments they get are likely to be lower. At the same time, in 20 years Americans will be responsible for more of their healthcare costs because of higher deductibles and copays in the nation’s Medicare program. The changes in both these federal programs make a lifetime habit of saving critical for young Americans. The following categories are meant to help guide Americans through a series of age-based saving goals. Of course, they are also meant to be modified to fit the circumstances of each individual. For example, some people marry and have children in their mid-20s with college expenses arising during their 40s. Others begin families in their 30s and 40s with college expenses occurring as they near retirement. The key to financial success is recognizing the likelihood, cost, and timing of your major life events and adjusting your saving strategy accordingly. According to a 2012 PayScale study, the median annual pay for college graduates at age 22 is $40,800 for men and $31,900 for women. The difference between the sexes reflects the continuing gap in salaries between men and women, as well as the jobs they choose (men tend to gravitate to higher-paying careers). Make minimum payments on your low-interest student loans so you can maximize your savings. Divert a portion of your assets into an emergency cash fund that is worth three to six months of your take-home salary. For example, if your monthly paycheck is $2,500, you should maintain a balance between $7,500 and $15,000. Start retirement savings as soon as possible. If you start at age 22, you need to save half as much as you would at age 32 to end up with the same amount at age 65. If your employer offers a 401k plan with matching contributions, invest at least enough to get the full employer match – it effectively doubles your rate of return. Choose an investment within your retirement options that provides the greatest net return after management fees, expenses, and commissions. Increase your savings rate by 33% of each pay raise. In other words, if your salary is increased $100 per month, divert an additional $33 of that to your savings. Avoid credit card debt as much as possible. Get into the habit of paying your full balance each month. It pays to develop good saving and spending habits in your younger years as they are likely to remain in place your entire working life. Unfortunately, bad habits usually persist also. Pay for female college graduates on average peaks at age 39, with a typical annual wage of about $60,000, and remains level until retirement. Many of the expenses associated with marriage, home buying, and parenthood occur during this decade. One of the earning spouses is likely to cease working for the period before children enter school. The consequence is one of the more stressful periods in your financial life as income falls and expenses increase. Keep your emergency cash fund intact. With a new spouse, house, and kids, emergencies inevitably arise. When you draw down your fund, try to restore it as soon as possible. Reject the temptation to borrow or withdraw from your retirement accounts to buy a home. Maintain your matching contribution on any employer plans, as the returns are simply too good to pass up. Continue to keep at least 90% of your retirement portfolio in equities, rather than debt instruments. Check your insurance coverages to ensure they match your new obligations. For example, if you are a new parent, you might increase the face amount of insurance to ensure your children are provided for in the event of your premature death. Similarly, as you accumulate assets or they grow in value, adequate financial protection for physical loss is warranted. Maximize any tax exemptions, deductions, or credits to which you are entitled as a homeowner or parent. Deductions for interest and property taxes are available for every homeowner as are payments for childcare. Tax credits may also be available to parents for childcare, educational, and healthcare costs depending upon income. If you anticipate helping your children with their college expenses, this may be your last opportunity to establish a 529 college savings plan. Starting a college savings plan early in a child’s life can enable you to save the necessary funds without having to seek extraordinary returns with extraordinary risk of loss. A 529 plan allows those funds to grow tax-free until they are used. During this decade, do not be disappointed if you seem to be treading water financially. Chances are you’re incurring new responsibilities and expenses for the first time. If you can live within your reduced income – assuming a spouse stays home – and keep up an emergency fund while matching your employer’s contribution to your 401k, you are ahead of the game. While pay for male college graduates generally peaks at age 48 with a wage of $90,000, American households also reach their spending peaks at age 45, according to JP Morgan Chase. Fortunately, spouses who stayed home during early child-rearing years are now often getting back to work and earning income. If you are self-employed and your children can perform legitimate work for you, consider hiring them and paying them a salary which they can invest for college. Dependent children can earn up to $6,100 per year without having to file a tax return, though their earnings are subject to FICA taxes and deductible as a business expense. Increase the savings proportion of your income to make up for the previous decade of lower contributions. If possible, make the highest allowable contribution by law to your retirement accounts each year. As your income increases, maximizing your tax savings becomes more important. Maintain the bulk (90%) of your investments in equities, rather than debt instruments. Retirement is 20 to 25 years in the future, so the impact of short-term equity price movements – especially during down markets – is significantly reduced. Starting your retirement plan early, staying fully invested in a broad and diversified stock portfolio, and maintaining your investments for 20 years or longer is the best way to reach your retirement goals. The fifties are the “get real” decade of your life. While you are not out of time, you can certainly see the finish line of your working life. Whether you’re likely to enjoy or endure that future depends upon your investment results from previous years. College for Children. Despite your desire, you may not have saved for your kids’ college education. While it may be difficult, do not yield to the temptation of funding it at the expense of your retirement. Look for ways to reduce college expenses. For example, your children can attend a junior college for the first two years while living at home; they can attend an in-state public university rather than a private college; and they can take part-time jobs as they study – all while pursuing scholarships and grants. Despite the desire to help your children, parents should not guarantee federal student debt under any circumstances, since the liability is perpetual and can even be collected from your estate. In other words, students should take out education-based loans in their names only. Take comfort in the fact that being independent during your retirement years is better for your children than you having to rely on them for financial help. Retirement. If you are behind on your schedule, save as much of your income as possible, especially retirement funds. You should also consider reducing the proportion of equity in your portfolio to 70% to 75% by the time you reach age 60. Replace those equities with fixed-rate bonds or debt with less than five- to eight-year maturities to minimize interest rate risk. If you have little possibility of reaching your retirement goals, reconcile yourself to continuing to work, either full-time or part-time. However, remember that while many people plan on working past age 65, almost 70% leave the workforce before that due to health problems or disability, according to JP Morgan Chase. Medicare. 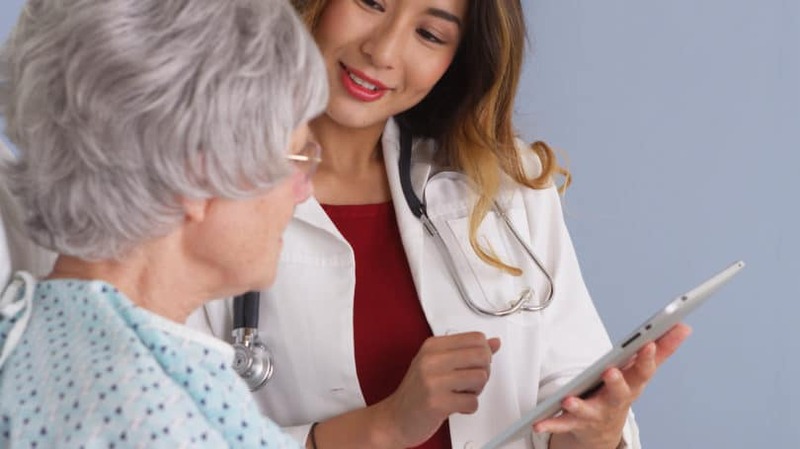 At age 65, you are eligible for Medicare Parts A and B, even though you may not be eligible for Social Security until age 66 or 67, depending upon your date of birth. Be sure to check the various plans and their costs – you may discover the government program is less expensive than private insurance. Social Security. If things have gone as planned, you can retire as expected. While you are eligible for Social Security payments at age 62, the penalty for taking them early is substantial. Except in dire emergencies or in cases where health problems are likely to lead to death and limit the period for which you receive payments, early withdrawals cannot be financially justified. At the same time, delaying payments until age 70 can increase monthly benefits by 8% per year, a guaranteed return exceeding many investments. Continued Employment. Whether by necessity or by choice, you may work after your normal retirement age. The combination of Social Security payments and outside employment can be complicated. Be sure you understand the consequences before taking Social Security benefits. Opting in at age 62, rather than your normal retirement age of 67, reduces monthly benefits by 30%. Conversely, delaying until age 70 increases your monthly benefit 24% (8% per year between ages 67 to 70). Home Equity. Many retirees find themselves “house rich and cash poor.” If your home mortgage has been repaid, you might consider a reverse mortgage for additional retirement income. While this is a complicated financial instrument, many retirees have found the benefits of extra cash plus the guarantee that you can live in your home until death beneficial. In 2013, according to JP Morgan Chase, the average spending for households of 65- to 74-year-olds is $44,886 per year. The Social Security Administration claims that the average monthly benefit paid was $1,294 with a spousal benefit of 50% ($647 per month), or $23,292 per two-spouse household. Based upon these numbers, the average retired household would need a fund sufficient to generate $21,594 annually. At a 4% annual growth rate, assets of almost $250,000 would be necessary to provide that income for 15 years. The keys to success are persistence, constant monitoring, and continuous adjustment. To ensure that you enjoy your retirement, start investing at an early age, increase your savings rate as your income grows, keep the tax liability on asset growth as low as possible, and control your living expenses. By doing so, you can live an additional 25 to 30 years after retirement in all likelihood. Ensure you’re able to pursue the activities you enjoy by having sufficient funds available to meet your needs. Will you be able to retire in the style you hope for?